Talking about rock ‘n roll fame, we can look up into where “The Beatles” stands. This band was composed of John Lennon, Paul Mc Cartney, George Harrison and Ringo Starr. They are called the “fabulous four” during their era of fame. When the British Invasion has started in the 60’s, other famous bands like “Bee Gees” and “Rollin Stones” really made it to the top with this band. Though most of us knew how The Beatles have started, became famous as well as disbanded, we can tell through their accounts that they really did something very significant for the world to see them not just as a band but also a memorabilia of a colorful music of the past. 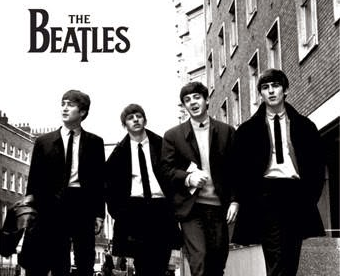 Yesterday, Hey Jude, Let it be, Love Me Do, Please please me and The Ballad of John and Yoko are just a few of their numerous greatest hits that created an etch in the hearts of many fans around the world. What’s so amazing about this band is that they started playing as teenagers. During their time, they were underestimated because of the belief that the only kinds of musicians who will create big names are adults. Well, the band has proved them wrong of their claims when they started creating music of melodic style that fits the musical tastes of people around the world. When The Beatles band disbanded, each one of them has created a name in the industry by going solo. They can write their own songs and they have proven to the world that the true Beatle blood flows on each member’s veins.